River Formation which was figured by Davis and Briggs (1998, Fig. 3C) may also belong to this group of birds. 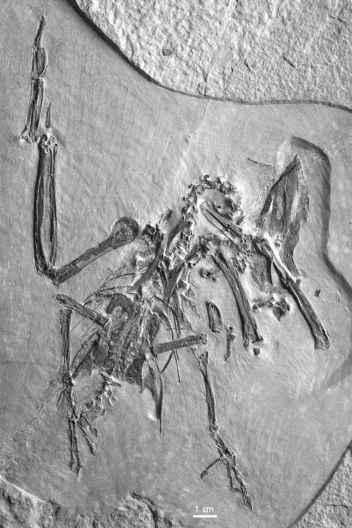 F. platyrhamphus was a small, presumably insectivorous bird with a wide beak, long wings, and short feet. The coracoid has a cup-like articulation facet for the scapula and a foramen for the supracoracoideus nerve, and both the alular and major wing digits bear ungual phalanges. The caudal margin of the sternum exhibits two pairs of shallow incisions. The long hallux reaches nearly the length of the tarsometatarsus. Eurofluvioviridavis is distinguished from Fluvioviridavis by its much stronger feet, and certainly occupied an ecological niche different from that of its North American relative (Mayr 2005e). 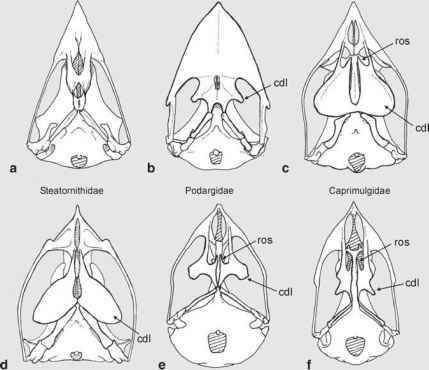 Assignment of fluvioviridavids to a clade including the Steatornithidae, Podargidae, and Cypselomorphae is tentative and is mainly based on overall similarity, including the presence of a wide beak and short legs. Likewise, classification of Eurofluvioviridavis into the Fluvioviridavidae is not strongly based. 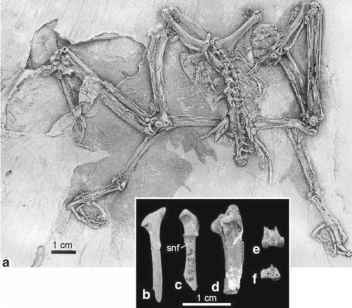 As noted previously (Mayr 2005e), the short and stout tarsometatarsus of Eurofluvioviridavis resembles that of the Eocene Quercypsittidae (Sect. 16.3.2) in the shape of the large trochlea for the second toe and the presence of a wing-like flange on the trochlea for the fourth toe. 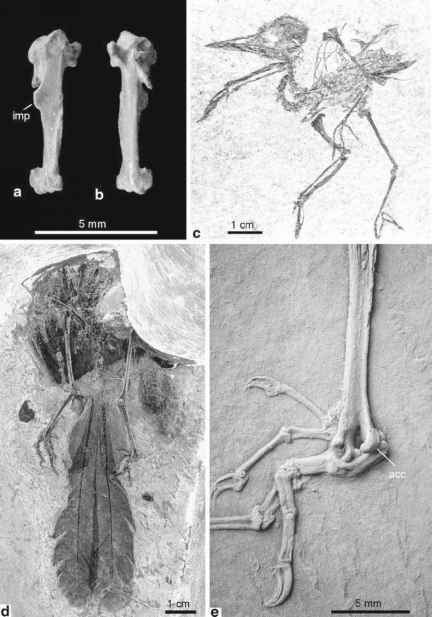 However, judging from the morphology of the large accessory trochlea, quercypsittids appear to have been fully zygodactyl (i.e., the fourth toe was permanently retroverted), whereas Eurofluvioviridavis, as evidenced by the position of the feet of the holotype skeleton, was at best facultatively zygodactyl or semizygodactyl (i.e., the fourth toe either was spread laterally or could be turned forward and backward). 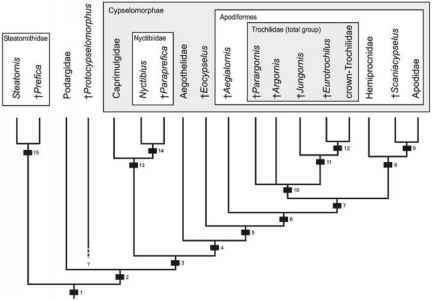 its phylogenetic affinities remain uncertain. As in Fluvioviridavis, the coracoid of Palaeopsittacus exhibits a foramen for the supracoracoideus nerve.